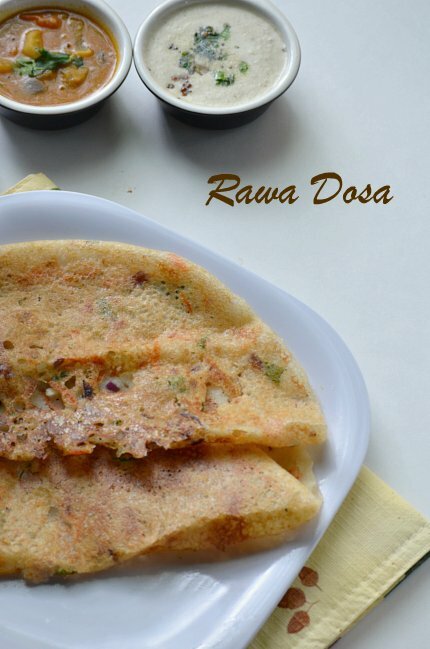 Today's recipe is Rava dosai and there are lots of variations in the proportion of the ingredients used.I tried so many variations and somehow comfortable with my mom's recipe. Soak the rava in 2 cups of water for half an hour to one hour.Add the rice flour and maida to the soaked rava,mix it well.Now the batter might be thick and add another cup of water to it. Now add all the ingredients except oil and mix it well.Adjust the consistency of the batter with water.The batter should be watery as shown in the picture. Heat the dosa griddle on a medium flame,once it becomes hot pour a ladle full of batter in a circular motion(from outside to inside) as shown.Do not fill the gaps with batter. Drizzle a tsp of oil and increase the flame and let it cook for a minute or two,now increase the flame to high and cook till it gets crisp (no need to flip).Fold it and remove from the pan. 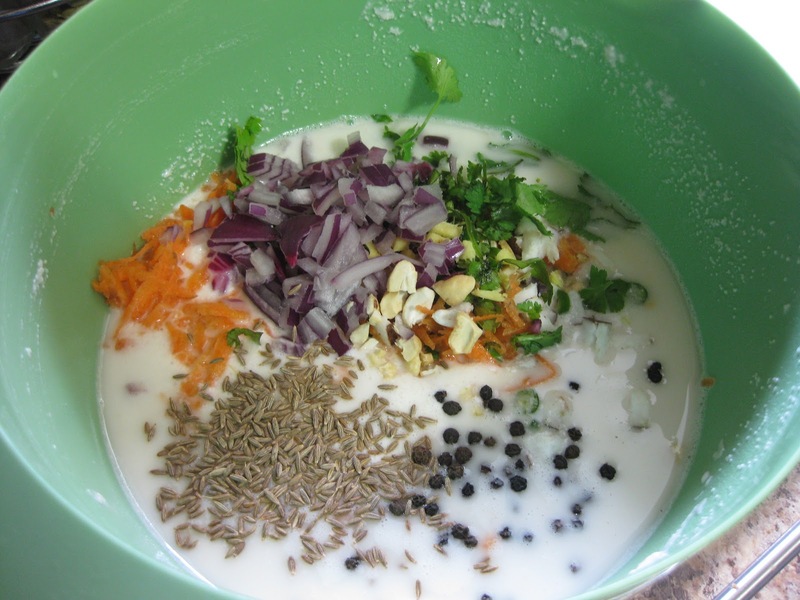 Serve it hot with chutney or sambhar. 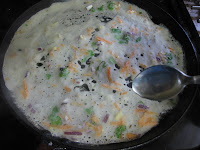 The secret of getting a crispy rava dosa is adjusting the flame,while pouring the batter the flame should be medium and needs to increase it to a high flame to get crispy. Do the trial with the first dosa,accordingly adjust the consistency of the water.If the batter is too thin or thick the dosa won't comes out nice. For the given measurement approximately 41/2-5 cups of water is needed. 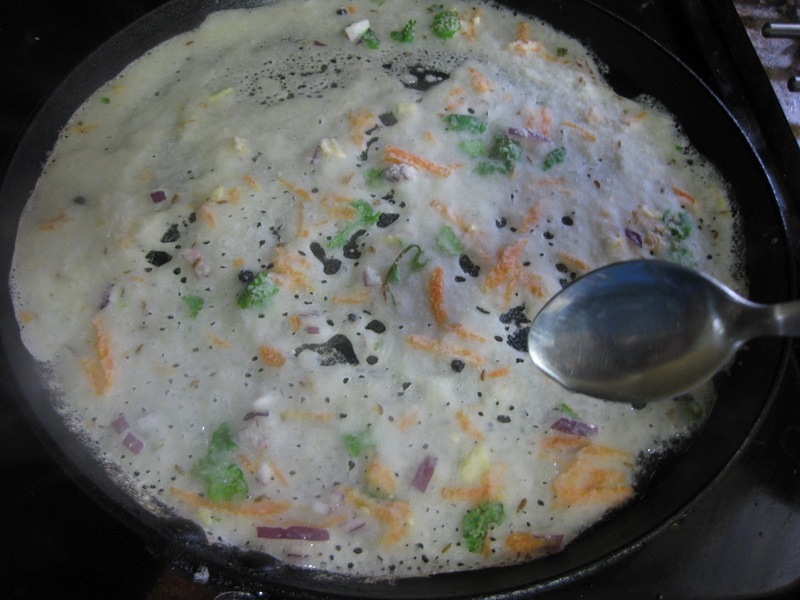 Mix the batter completely before making each dosa as it tends to settle in the bottom. 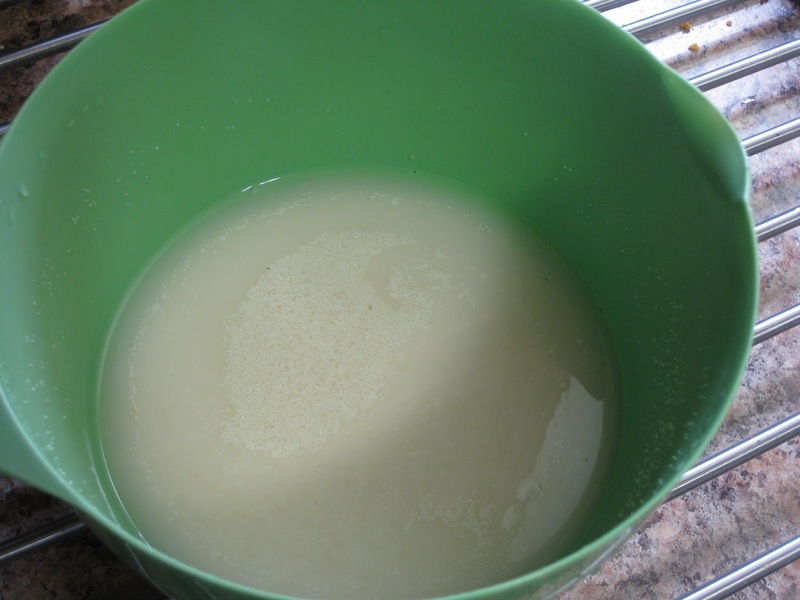 Drizzle the oil to the dosa once the batter is cooked otherwise it will take a long time to cook and be generous with oil to get a crispy dosa. 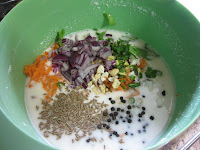 The black pepper can be crushed and added. 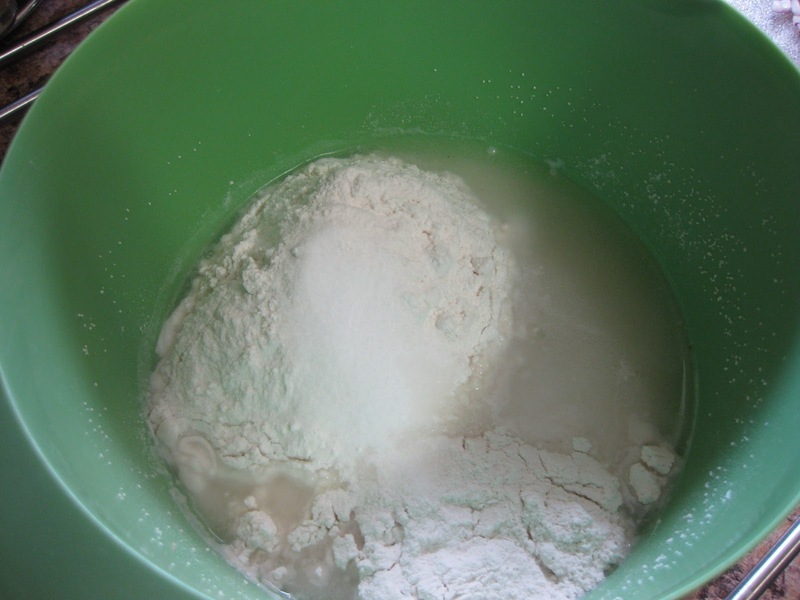 The batter can be stored in the refrigerator for 2 days. 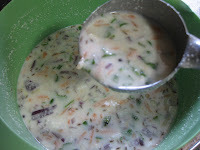 Healthy yummy dosa,& a new way of spreading the batter..will try this! 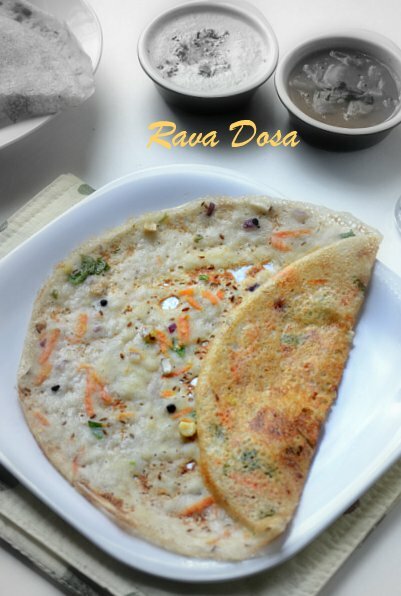 love rava dosa, all time fav...looks so yumm...neat Presentation Nalini!! Looks delicious and my fav. Nice clicks. Favorite dosai .. looks yummy. I CANNOT stop thinking about this. I have to make it!! Yummy! 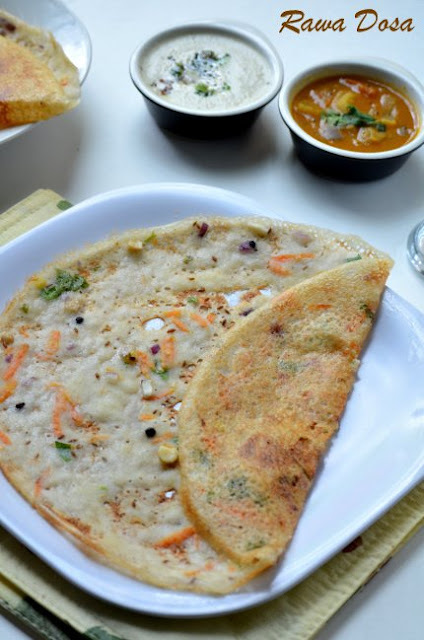 Crispy dosa and chutney looks awesome..
Its been a while i prepared dosas with rava, makes me drool. My Mom's favorite !! Looks so good. Thanks for dropping by my blog Happy to follow you !! 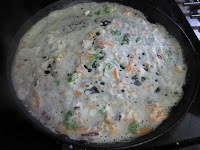 Looks delicious n perfect rava dosa, adding coconut pieces sounds interesting!! 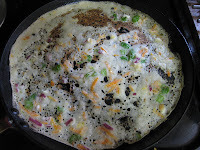 Good Day Nalini,Made Rava dosa for breakfast yesterday. Tried it with your exact measurements and all the tips and tricks, Came out well and crispy. Thanks for sharing. Rava Dosa has been out of bounds for me. 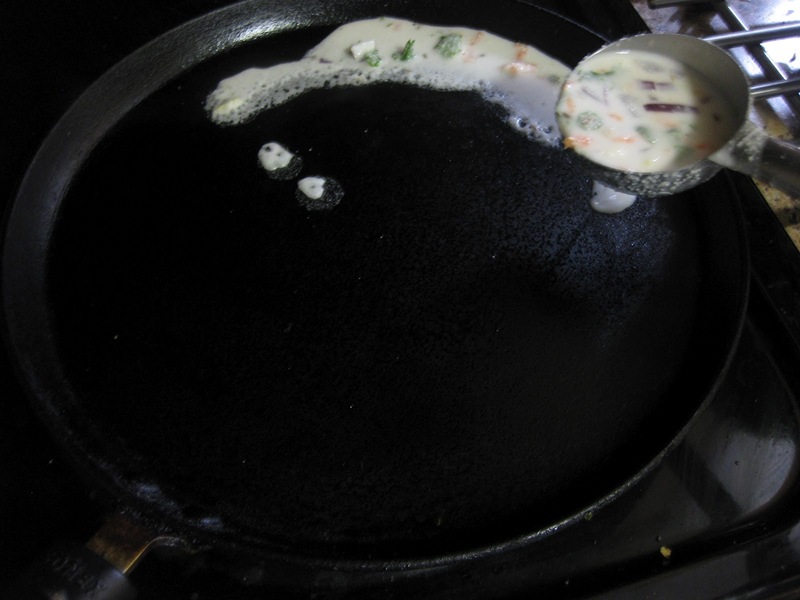 Whenever I had tried earlier the dosa used to fall so much in love with the tawa that it never leaves it, I literally have to break the dosa to make them apart. I was so happy that this time i got it right putting an end to a tragic love story.